Féminin Pluriel Méditerranée,organizes for the second consecutive year, the Literary Prize Féminin Pluriel 2017, with the kind assistance of the library GIBERT JOSEPH, whose director Sylvie FONTAINE is a member of our network. The price Féminin Pluriel is open to books written in French and published on behalf of French publisher. 6- Portrait de femmes d’Anne Fulda. All clubs Féminin Pluriel worldwide are concerned. 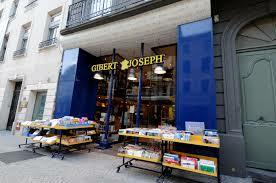 Every club who participate will receive a set of six selected books, offered by GIBERT JOSEPH. Readers happens to the books within each club. Votes will be collected in late January 2017. Or the winner will have a significant prior development of his work in the library GIBERT JOSEPH. A banner with the logo and name Féminin Pluriel will be inserted on the cover of the work. A dedication event will be held during the spring to a privileged encounter with the winner; event to which all member readers will, of course, be invited. The delivery of the Literary Prize Féminin Pluriel 2016 Emmanuelle PIROTTE for his book TODAY WE LIVE was the occasion for a warm and unforgettable evening with the discovery of a sincere and intelligent woman who knew how to make us share his passion for the writing. The award-winning author was accompanied by the attached press MIDI RESEARCH.